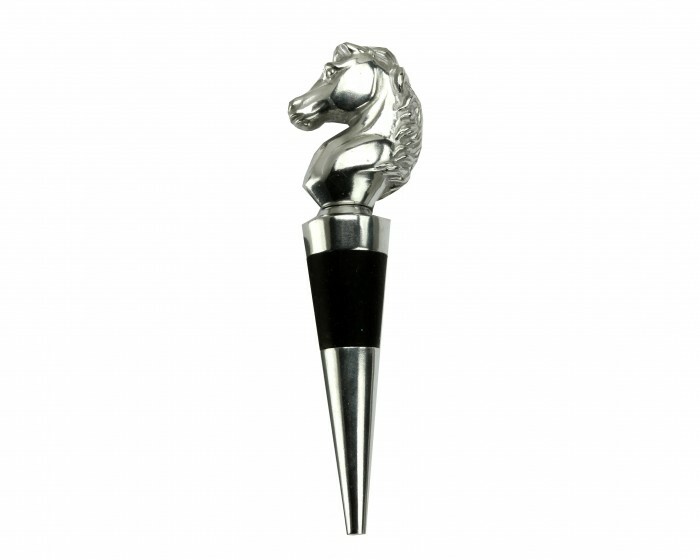 Feel like royalty as you drink in the presence of this Horse Bottle Stopper from Arthur Court. Postured like a knight on a chessboard, this stallion’s head emits an air of nobility. 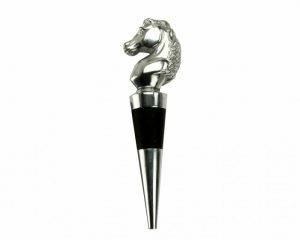 Handcrafted in sand-cast aluminum, the statuette’s flowing, layered mane runs down its head and neck to provide lifelike detail. Wash by hand with mild dish soap and dry immediately – do not put in dishwasher.